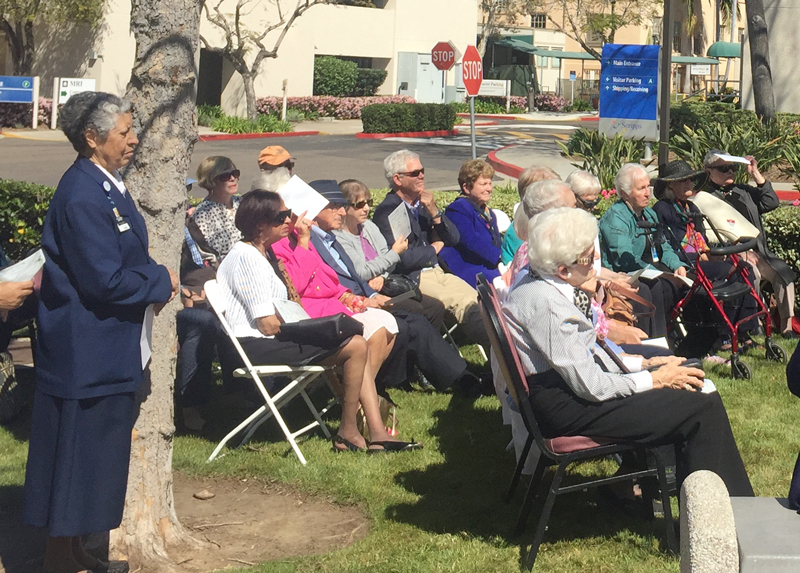 On a bright, warm, sunny afternoon, Mercy Hospital Board members, friends and Sisters of Mercy gathered for the dedication of a new rose in the rose garden in front of Scripps Mercy Hospital in honor and memory of Sister LaSalette Trevillyan, RSM. Sr. LaSalette was a “Giant” in her years of service at Scripps Mercy Hospital. 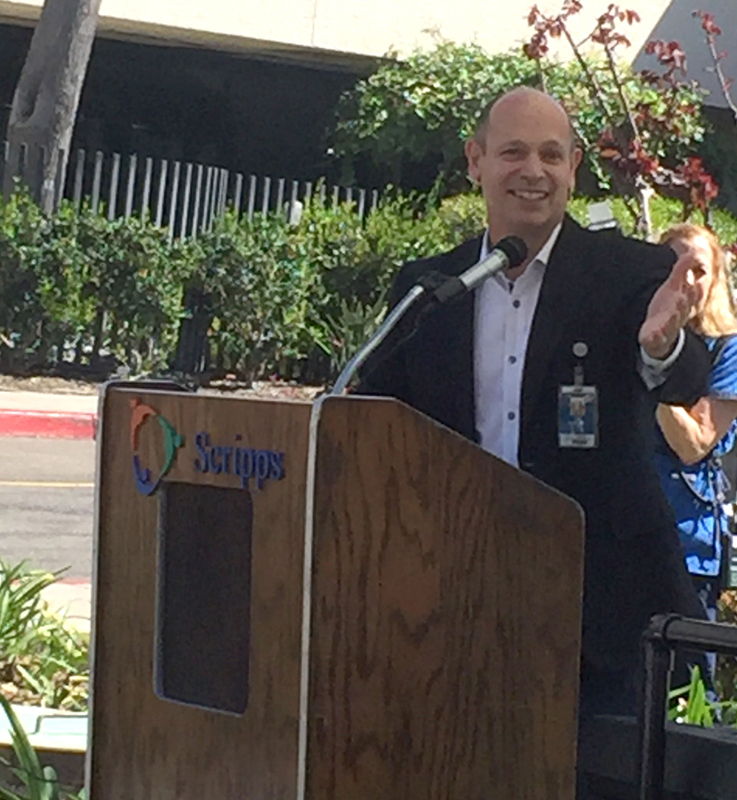 Tom Gammiere, Chief Executive or Scripps Mercy Hospital welcomed the assembled guests and dedicated the lovely rose. Sr. Mary Leonita Metoyer, RSM and other guests shared memories of knowing and working with Sr. LaSalette during her years of service at the hospital. She was such a constant presence at Mercy that one still expects to see her in her crisp white religious habit as your turn a corner down a hallway in the hospital. Sr. Cecile Ley, RSM played music on her keyboard as the Dedication Plague was unveiled by Sr. Mary Gallagher, RSM and Tom Gammiere. A reception followed the dedication in the West Auditorium Foyer.